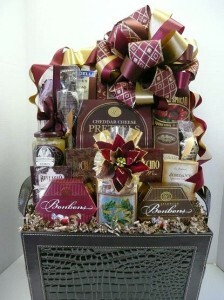 Designed for the office crew! 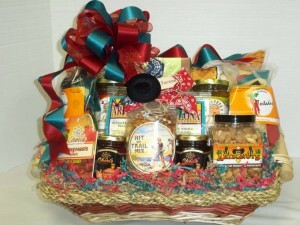 A huge selection of savory & sweet items. This is sure to be a hit for everyone. Items include, but not limited to, popcorn, chips & salsa, varieties of pretzels, peanuts, candy & more! 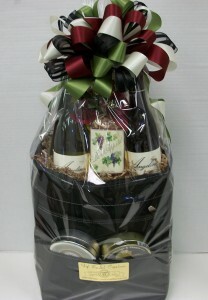 Always a favorite to send to out-of-town clients, family and friends. 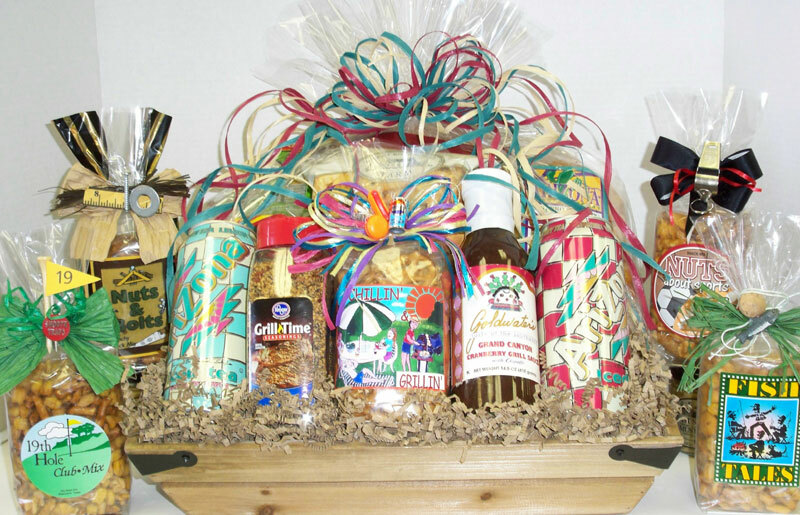 A savory collection of chips, salsa, trail mix, prickly pear candy, assorted pistachios, crackers, prickly pear cactus jam, and Arizonuts. Basket filled with BBQ sauce, grill seasoning, drinks and snacks such as Smoky Sweet BBQ Pretzels, kettle corn, chips, salsa, churro nuggets, pistachios and trail mix. 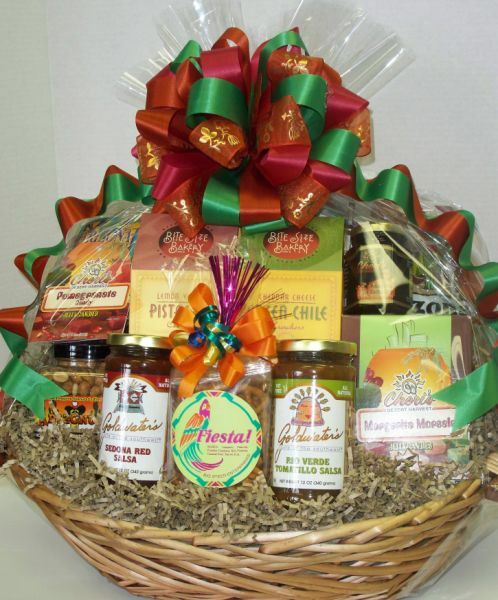 A great taste of Arizona, this basket is composed of local product: salsa, chips, southwest style peanuts, jelly, honey, crackers, kettle corn, local jelly candies and other tasty snacks. Want to impress? This will definitely make a statement! Beautiful metal container, filled with seasonal fresh fruit, an assortment of fresh baked goods, bagels and cream cheese, and a “Welcome To Your Home” nutty seasoned goody bag. This great basket filled with a savory selection of Southwest snacks is a great way to say thank you. 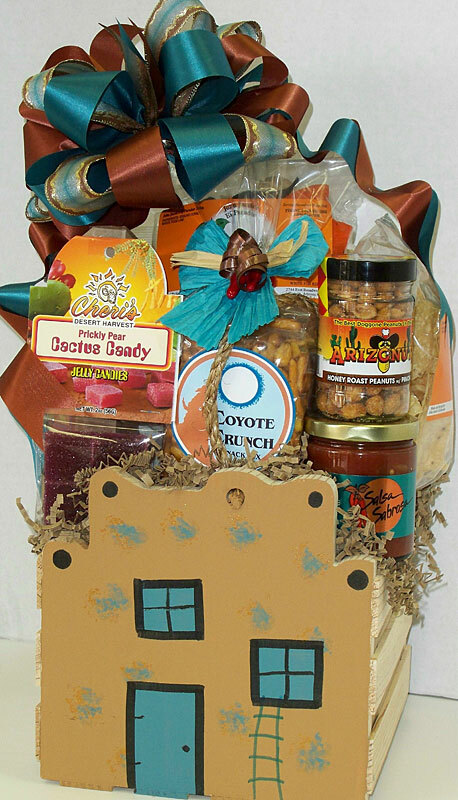 Includes “Gracias,” ”Coyote Crunch,” or “Trailblazer” snack mix, tostada chips, salsas, crackers, prickly pear cactus candy, cookies, pistachios, kettle corn, churro bites, pomegranate jelly and more. 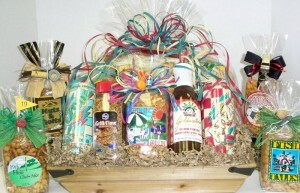 For those with a Southwestern style, this hand-painted, wooden pueblo house (can be personalized) is the perfect choice. 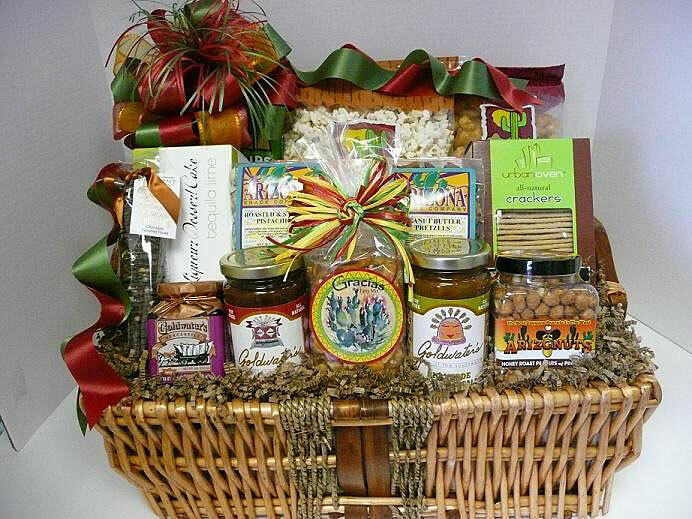 Filled with chips and salsa, pistachios, AZ Iced Tea, “Coyote Crunch” trail mix, prickly pear cactus candy, cookies, AZ nuts and more … this gift will long be remembered. Seasonal fruit and an assortment of granola. 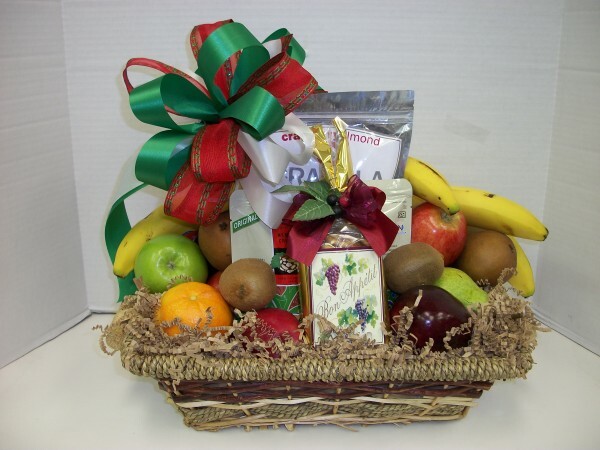 Your basket may include a variety of granolas, such as cranberry almond, banana nut, apple cinnamon, cherry cobbler and peach cobbler. 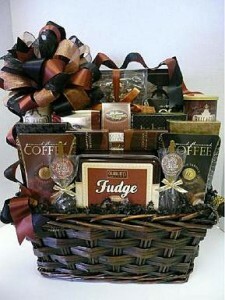 This striking basket is overflowing with goodies for the chocolate lover. 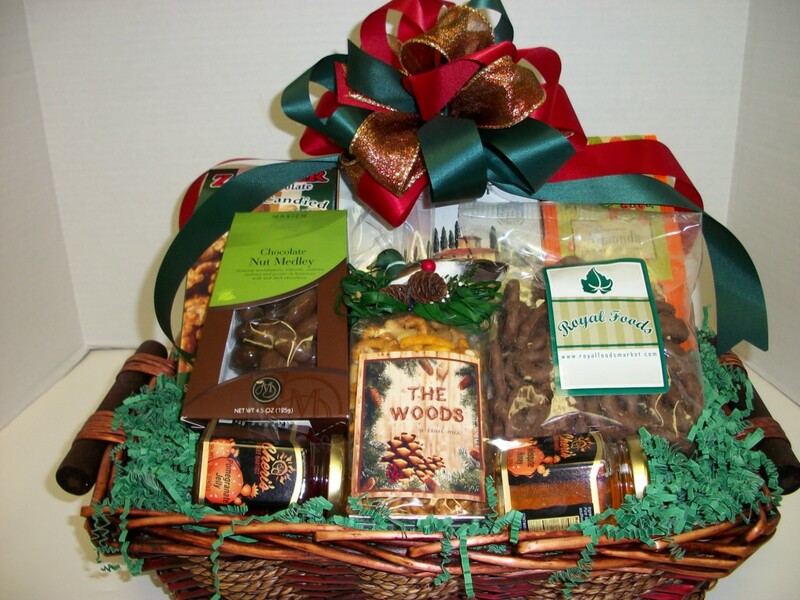 Includes chocolate walnut fudge, chocolate decadence cookies, gourmet pretzel dippers, assorted flavored coffees, hot cocoa, latte, biscotti, chocolate chip cookies and chocolate-dipped spoons. 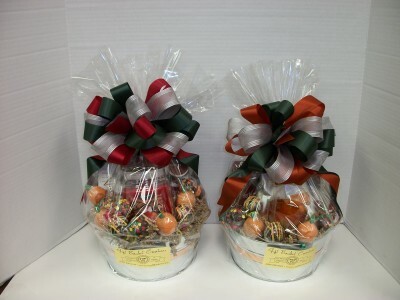 A great seasonal basket for chocolate fanatics, includes chocolate cover nuts, chocolate covered pretzels, assorted glazed candied nuts, local Arizona jelly & honey, gourmet crackers, chocolate chip cookies and a festive snack mix. A delicious combination of coffee, tea, cake pops and a candle. Comes in a handy silver tin. A pair of UofA football tickets in the brand new, north endzone section. 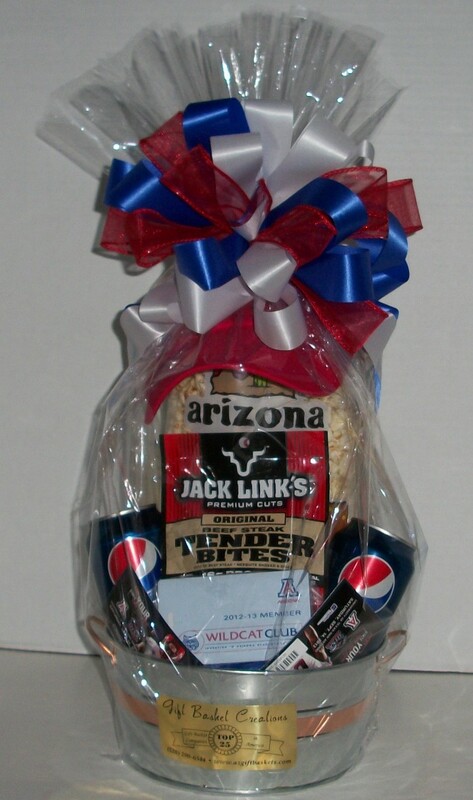 A UofA hat, and snacks to enjoy before the game. 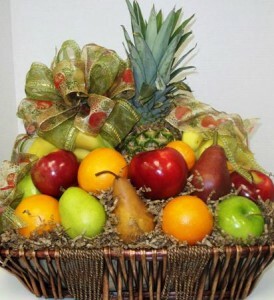 This basket is subject to availability, and only available during football season. Call or email to choose the game you are interested in. 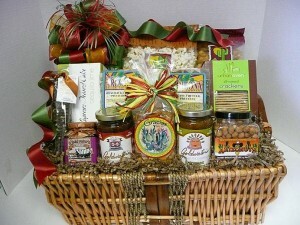 A nice variety of sweet & salty! 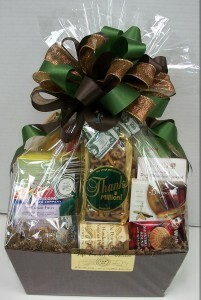 Flavored popcorn, cookies, chocolates, tea, crackers, candy, & spicy trail mix. Just what the doctor ordered! This will bring a speedy recovery to anyone who is under the weather. 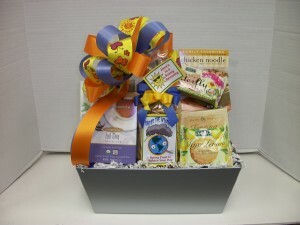 A healthy mix of chicken noodle soup, cheese, crackers, cookies, tea, chocolate covered nuts, trail mix & more. 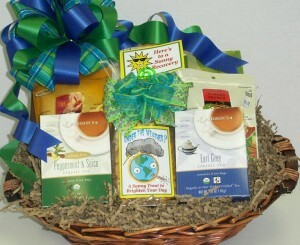 This basket is good for just about any occasion, including bereavement, get well, birthday and thank you. 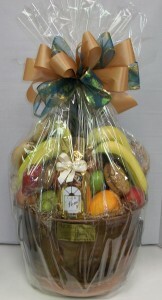 It includes a variety of seasonal fresh fruit such as apples, oranges, pears, bananas, mango, grapes and chocolate-covered almonds. 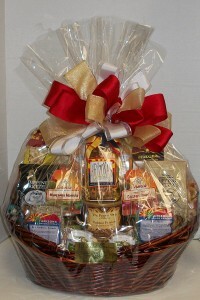 Fresh sliced Honey-Baked Ham, gourmet mustard and bread make a nice addition to this basket. Please call to get prices. This healthy themed basket is filled with chicken noodle soup mix, crackers, flavored hot teas, nuts, cookies, almond crunch and “Under the Weather” or “Dr. Feelgoods” trail mix. The recipient will feel better just seeing this thoughtful gift. This gorgeous design done in a reusable container is a classic collection of gourmet foods such as cheese, crackers, chocolates, mochaccino, nuts, pretzels, bon bons, cookies, cashew chocolate popcorn and much more. 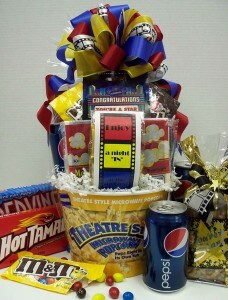 A great gift designed to enjoy a night “IN” at the movies. Includes microwave popcorn, Red Vines, Mike & Ikes, Hot Tamales, trail mix, m&m’s, & sodas. 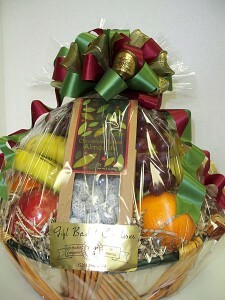 This basket is good for just about any occasion, including bereavement, get well, birthday and thank you. It includes a variety of seasonal fresh fruit such as apples, oranges, pears, bananas, mango, and grapes, accompanied by fresh baked goods such as banana nut bread, muffins, croissants, brownies and cookies.